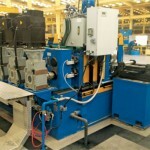 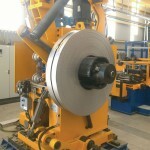 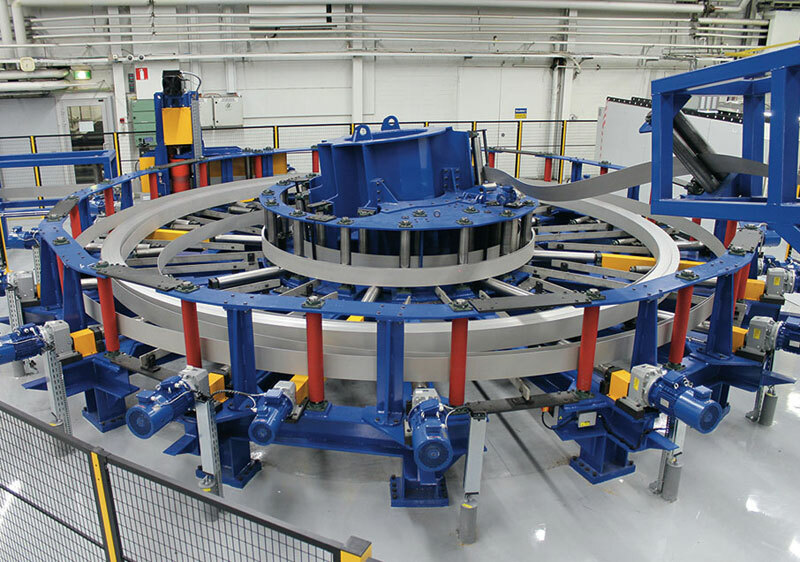 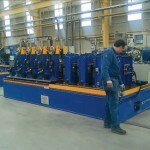 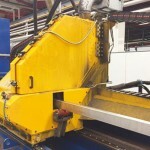 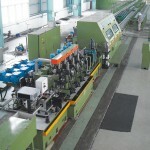 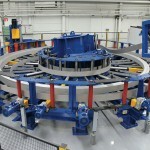 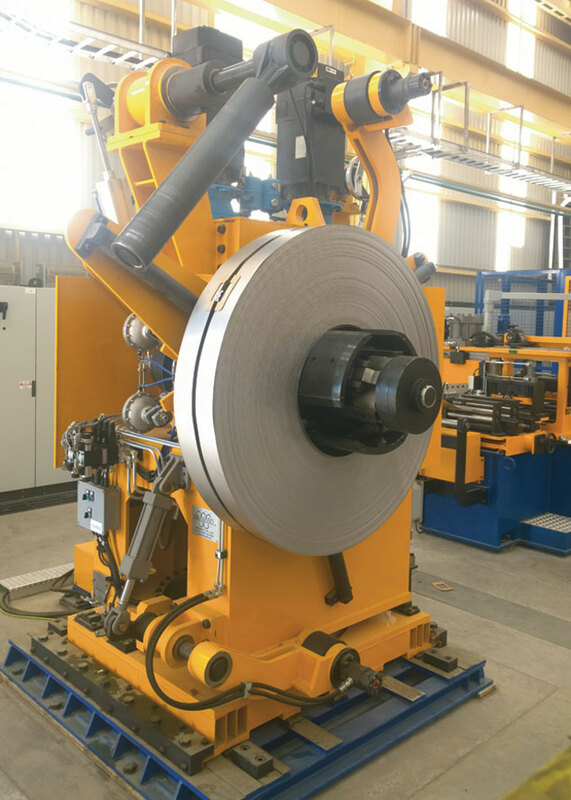 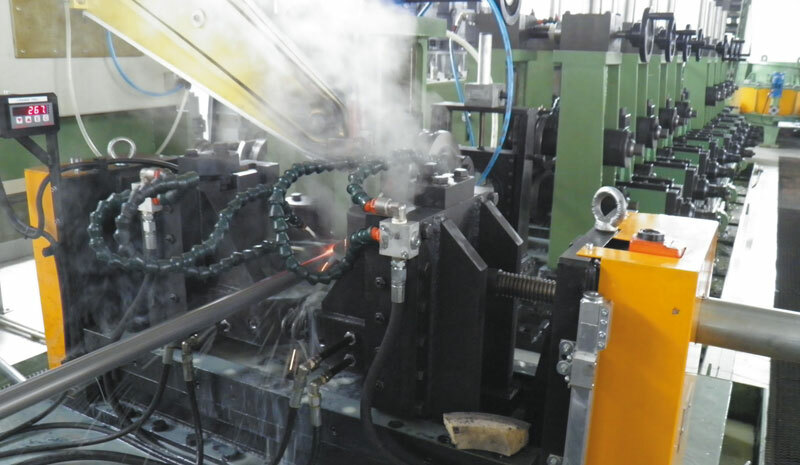 The Olimpia 80 experience is extended to the production of HIGH FREQUENCY welding lines. 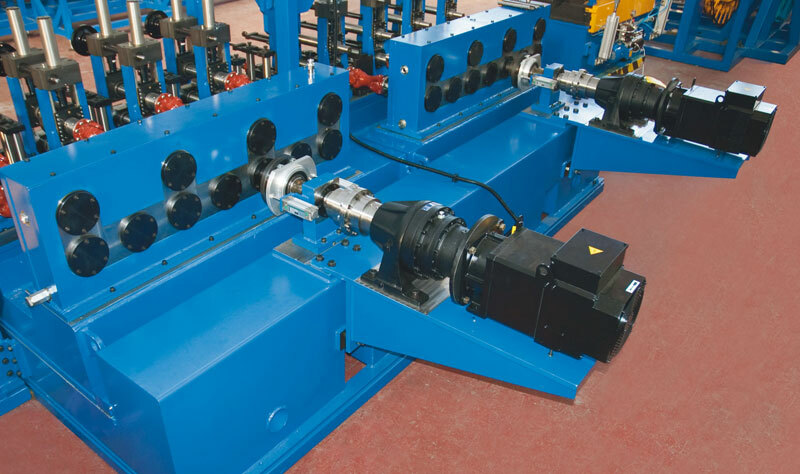 The company make use of the latest technologies to always guarantee the greatest precision and solidity at the highest production speeds. 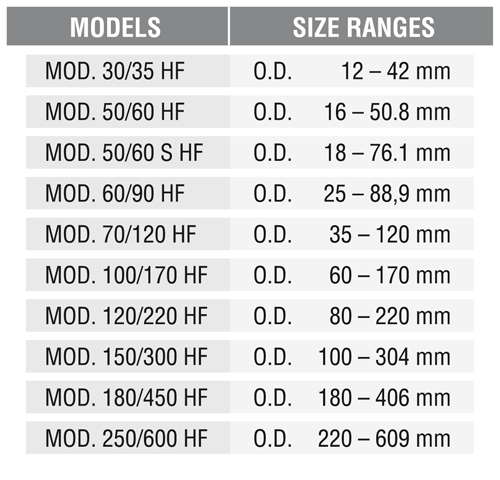 Complete line for production of AISI 409 stainless steel tubes, welded by High Frequency, in a range from 18 to 76 mm O.D. 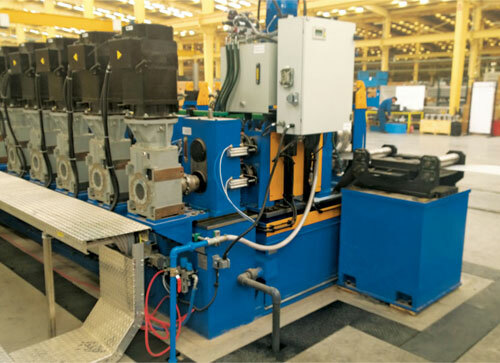 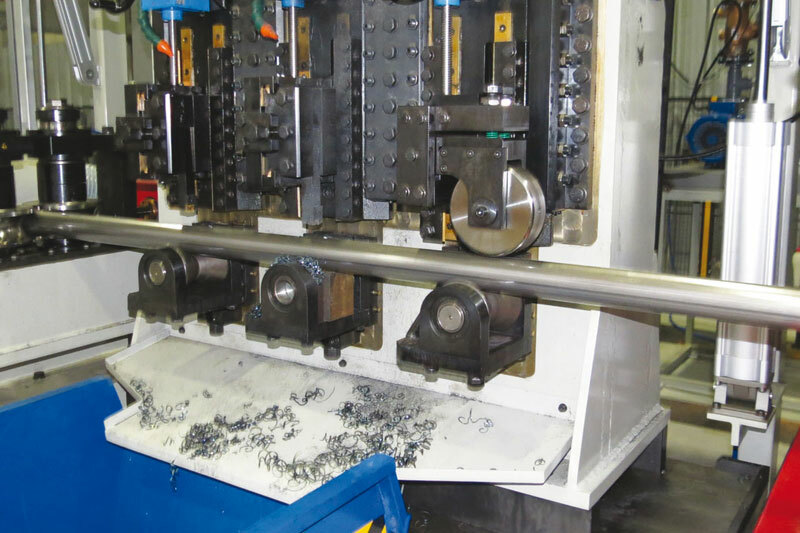 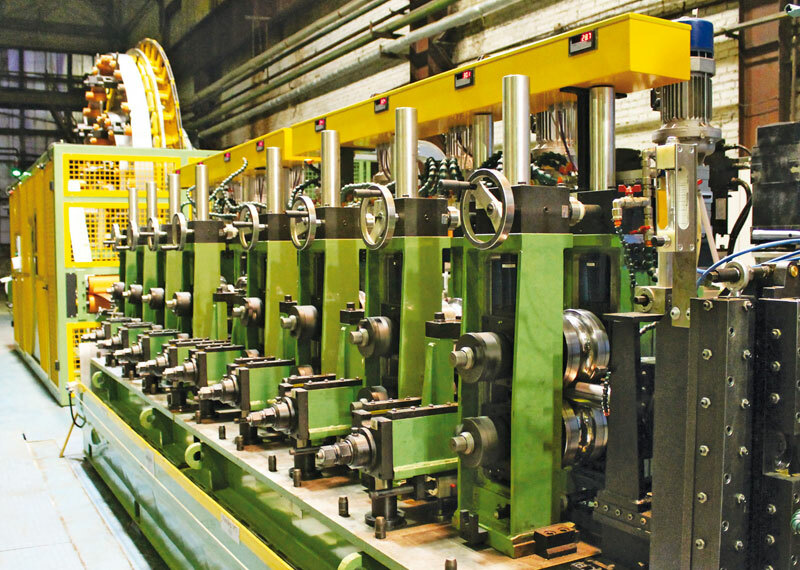 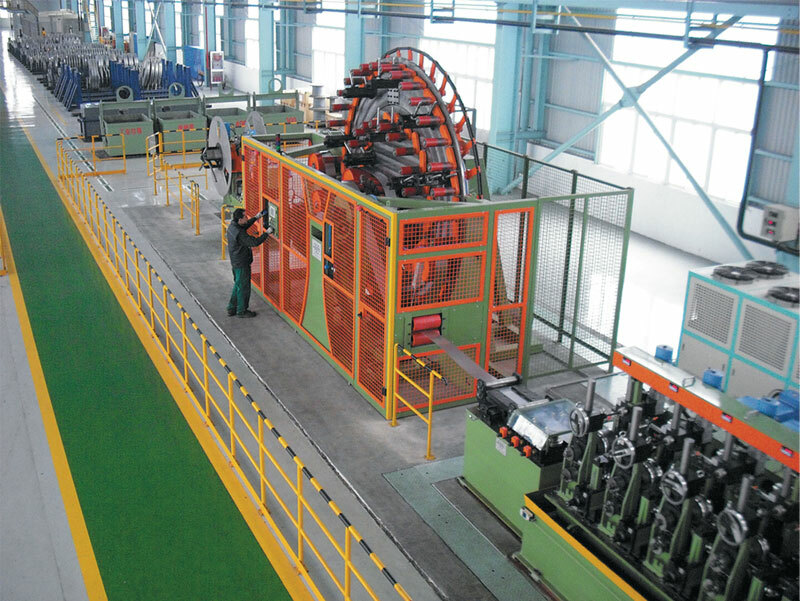 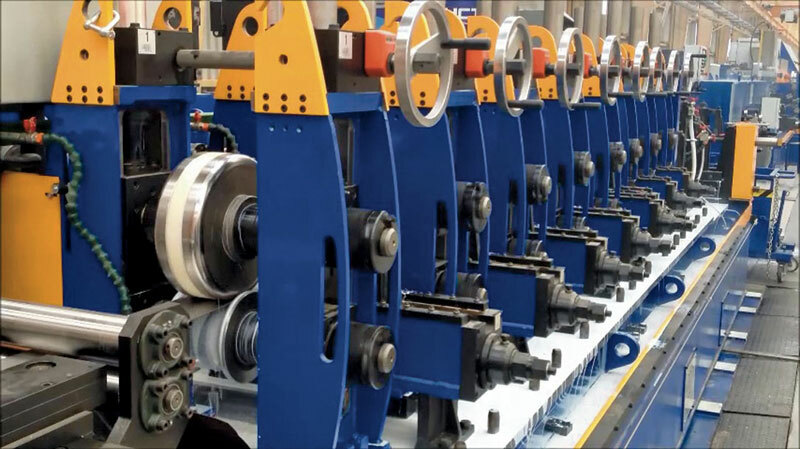 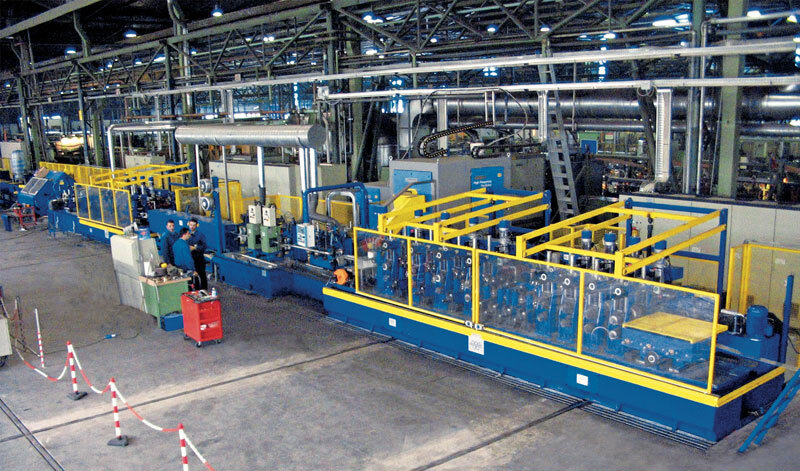 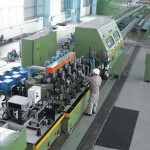 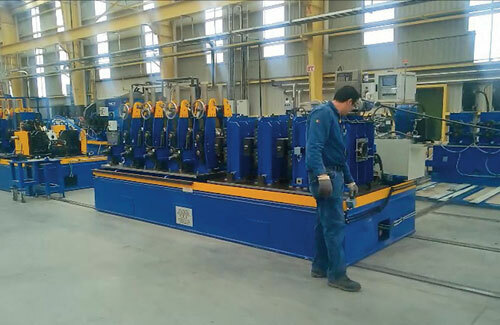 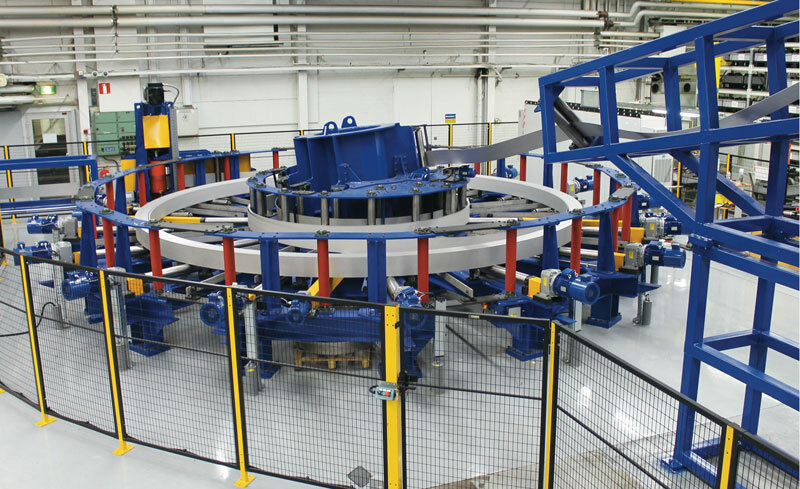 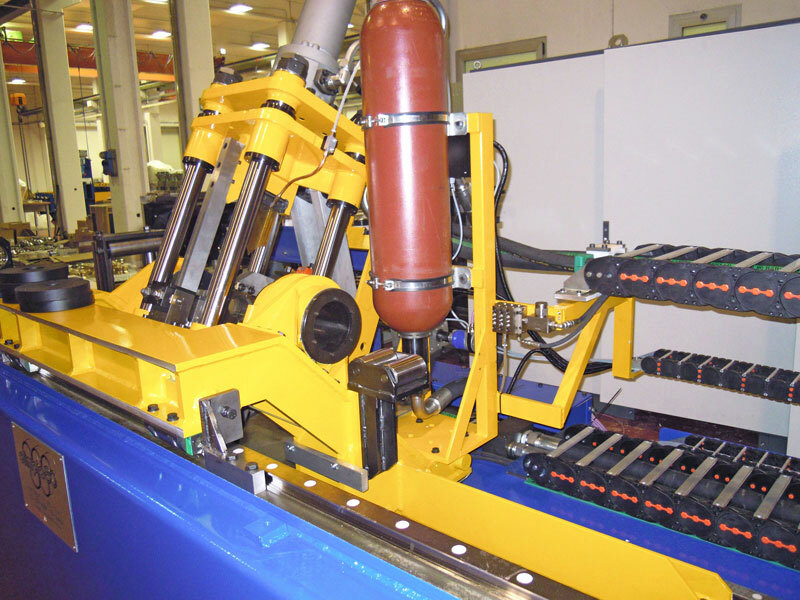 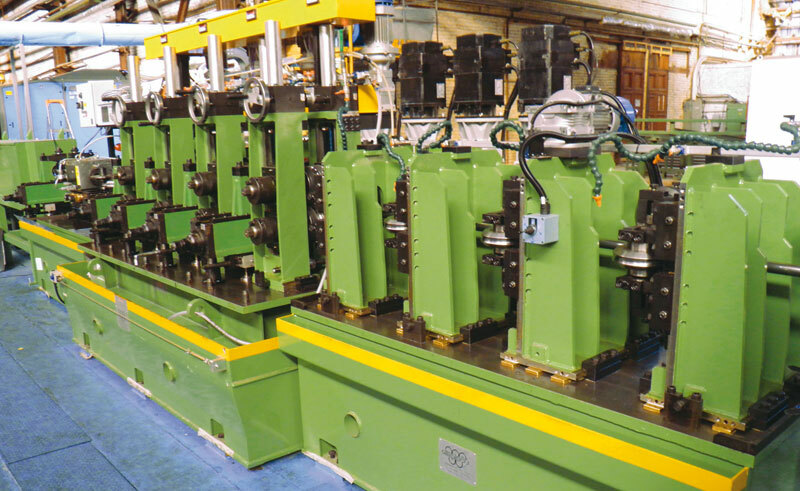 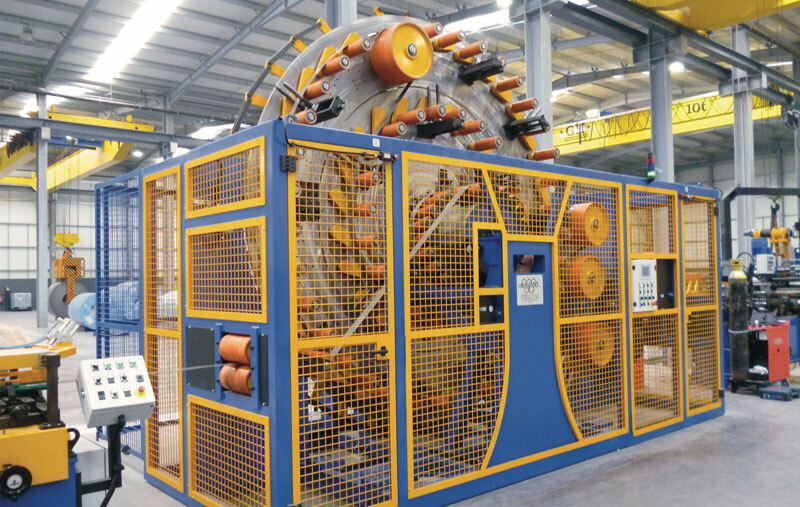 Complete line for tube production from 18 mm to 76 mm OD, welded by High Frequency system, complete with cassettes on railway for quick roll change. 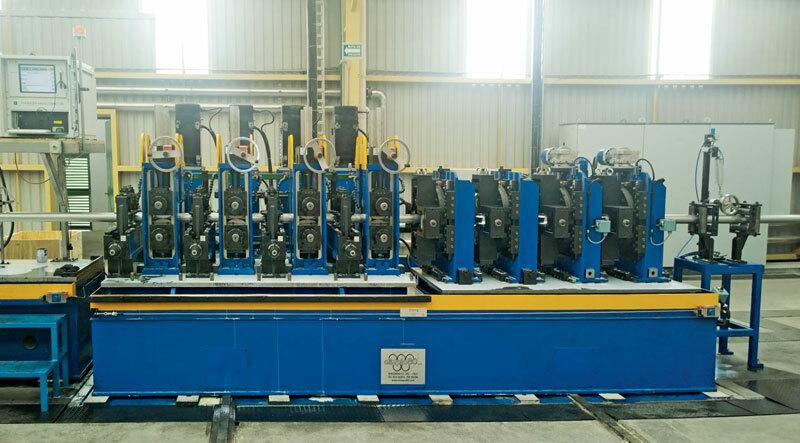 Different models of HORIZONTAL or VERTICAL STRIP ACCUMULATORS can be intalled in line according to the type of material and to the tube dimensions. 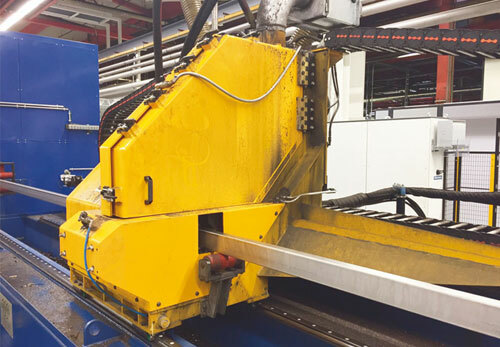 The Olimpia 80 WELDING STATION guarantees an absolute control of the tube edges allowing high production speeds and optimal welding quality. 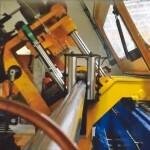 The station is complete with rolls self-centring adjustment by screw-jack, mechanical display of roll positioning and load cell for indication of roll force on tube edges. 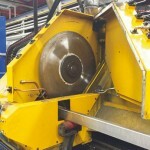 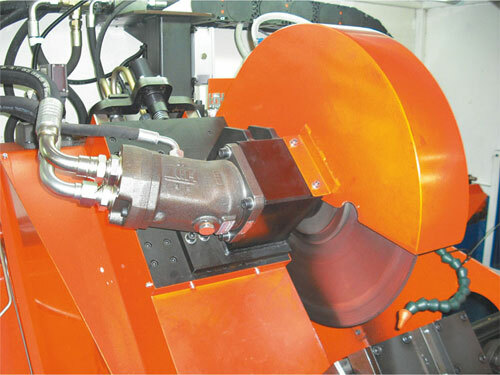 The outside weld bead removal is achieved using the SCARFING UNIT. 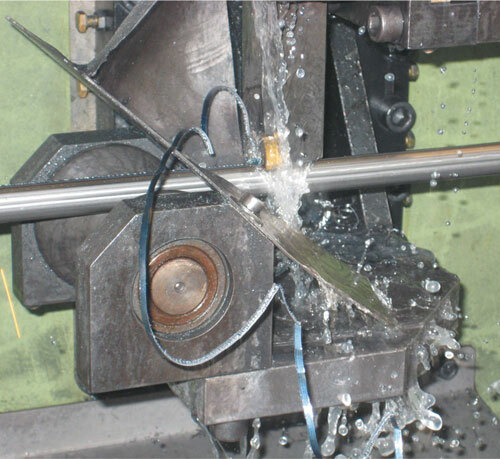 This component makes use of two electronically controlled tools, with hard metal tips. 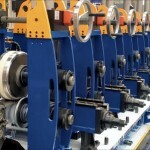 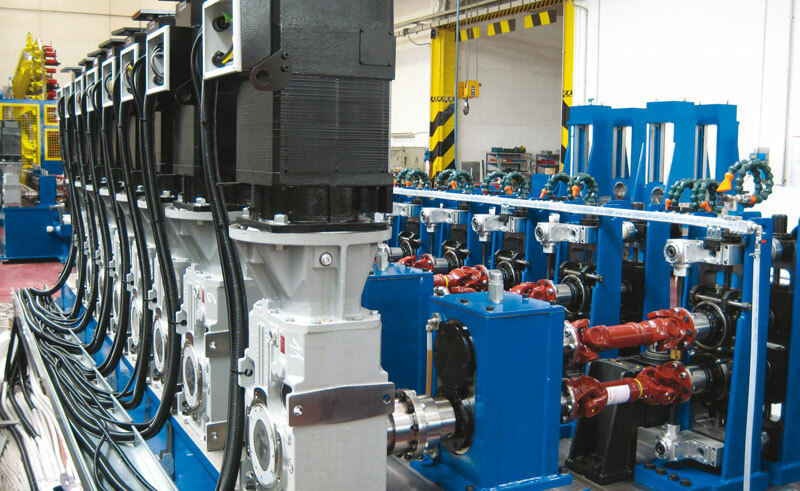 Olimpia 80 offer possibility of choice between TRADITIONAL STANDARD DRIVES, composed by two motors in the forming group and one motor in the sizing group, or INDIVIDUAL DRIVES with a single motor for each driven stand, both in the forming and in the sizing group, allowing an elevated control of the tube at high production speeds. 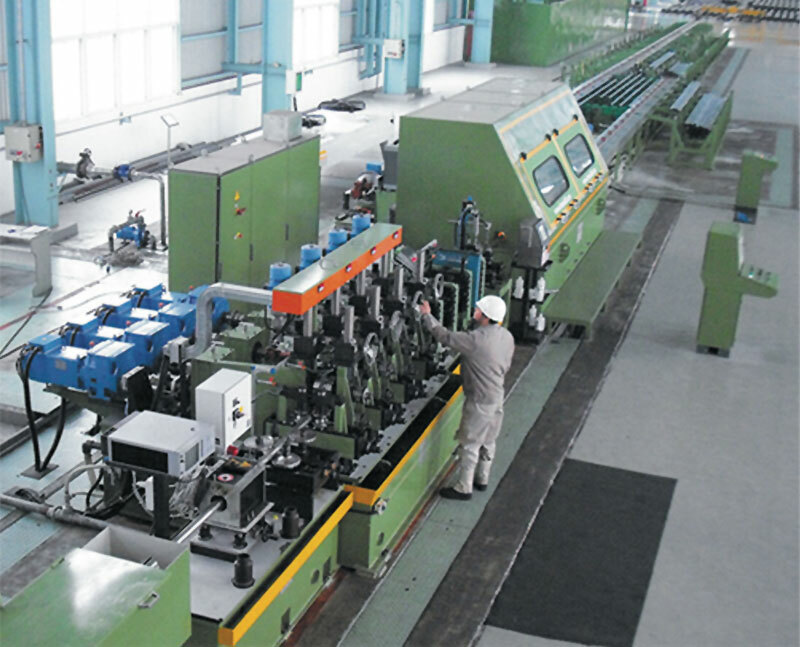 Complete line for production of H.F. welded carbon steel tubes, size range from 18 mm up to 76 mm. 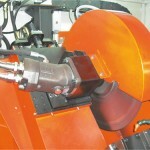 Flying cut off with friction saw. 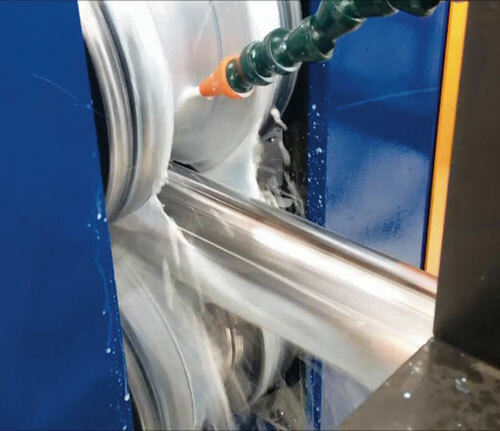 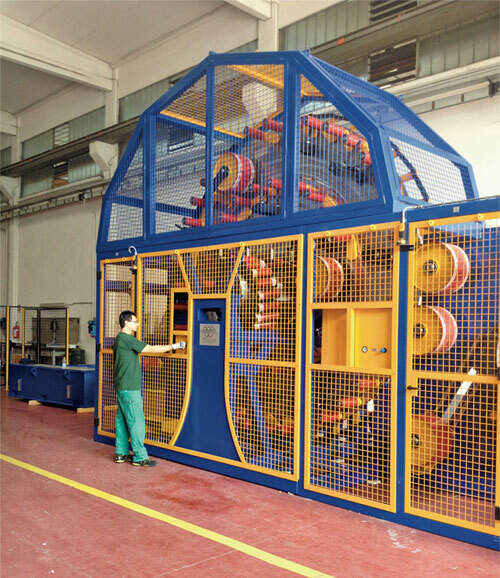 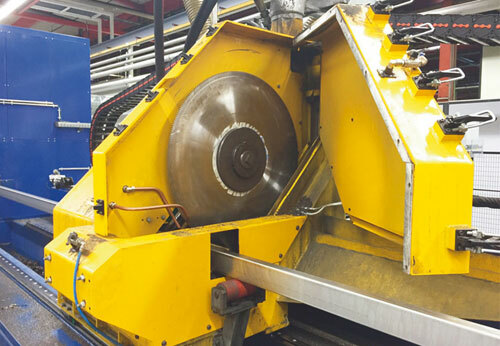 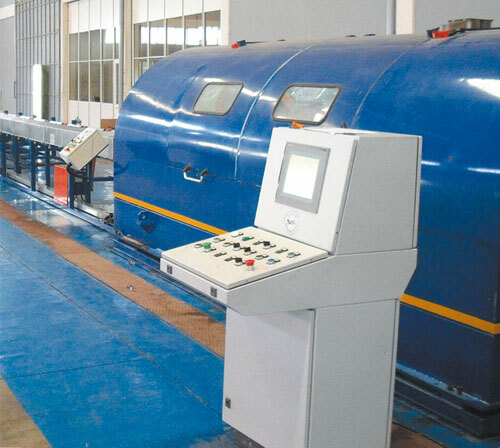 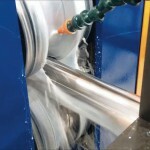 Olimpia 80 installs HIGH SPEED TUBE CUTTING MACHINES using the latest technologies for the control and operation.